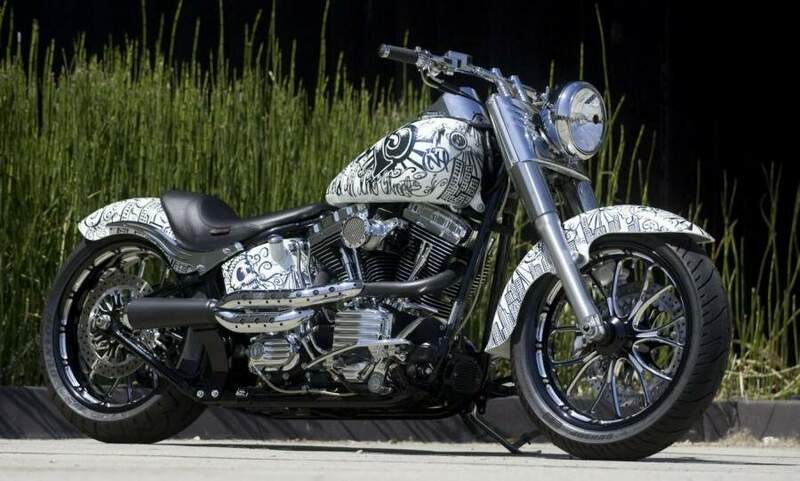 When Kids & Chrome turned to the crew at Roland Sands Design to create their 2009 auction bike, they knew they were going to have a bike like no other. Donated by Jim and Monica Burgess and sons, this bike retains the heart, soul and title of the original Harley-Davidson Fat Boy. Then, RSD and Performance Machine “threw the RSD and PM book at it”! From its PM Platinum Cut wheels, brakes and discs to the RSD Tracker pipes, fork brace, fender and seat kit – it's all business. There are too many great components to list, plus an amazing paint job personally hand-drawn by Roland and painted by his friend, Chris Wood, from Airtrix. Top it off with Dunlop tires and the cake is “officially iced".